Beautifully updated and upgraded lodge off the grid on 30 acres of pristine and dramatic forest with massive boulders and stream right next to house. Lodge has soaring spaces with open beam ceilings, knotty pine, skylights, wall of windows, private well. Generator with solar power, battery bank, inverter are all newer to top of the line. Magnificent remodel in 2009-2010. Hardwood floors throughout downstairs, 3 wood burning stoves, 1 wood burning fireplace. Forced air furnace, beautiful kitchen and baths. Three bedrooms and one bath downstairs, master bedroom and bath plus loft area upstairs. Large barn houses generator, inverter, batteries, pressure tank and filtration for well and filtration for the water.This property is situated in one of the most beautiful areas of the San Jacinto Mountains and offers the ultimate in privacy. 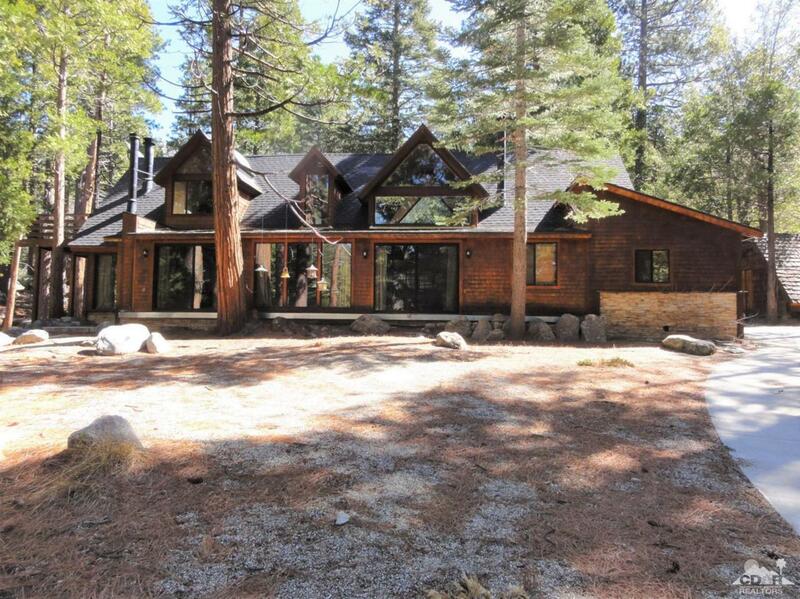 Listing provided courtesy of Steven Taylor of Idyllwild Realty.